I have a 6.5'' wrist and my 39.5 PO fits perfectly. DO NOT worry about it fitting! Here is a picture to show you. Oh, I've included a picture side on, as you can see, not too high at all. Would you mind a profile/height shot of the SM Pro? 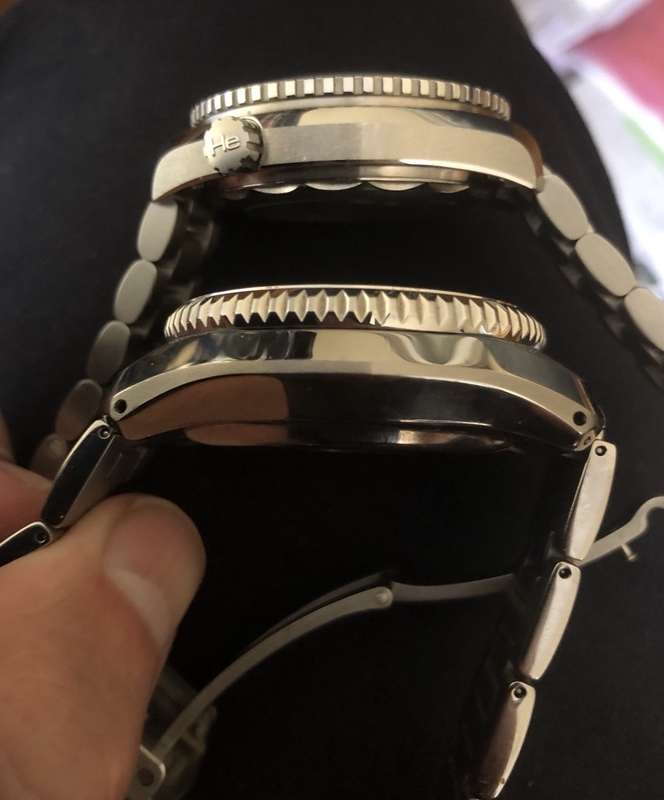 I like the 39.5 PO for my 6.7” wrist, but the height difference could swing me to the larger diameter yet thinner SM Pro. TIA! 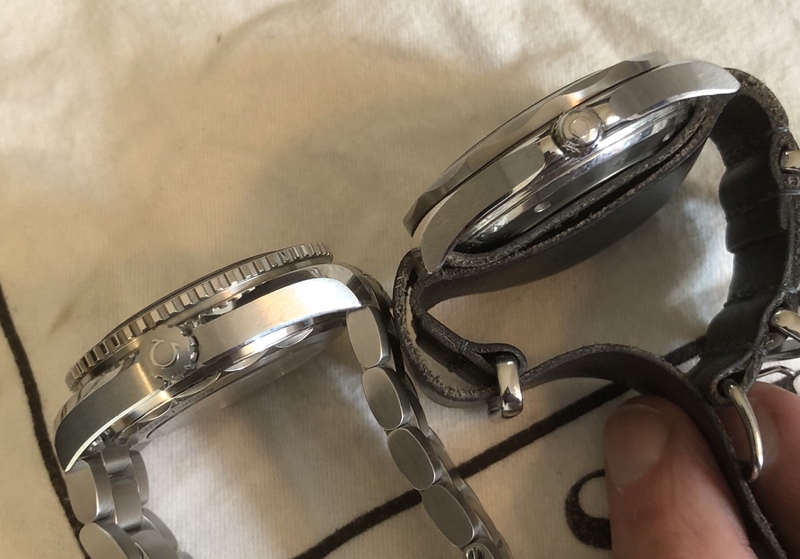 Compared to a Seiko mm300. Great watch but really beauty and the beast!!! Interesting comparison that shows how compact the 8800 is. My PO 8900 is likely more similar in size to the MM300. I took the Planet Ocean on a night dive the other week. The lume worked great in the darkness! 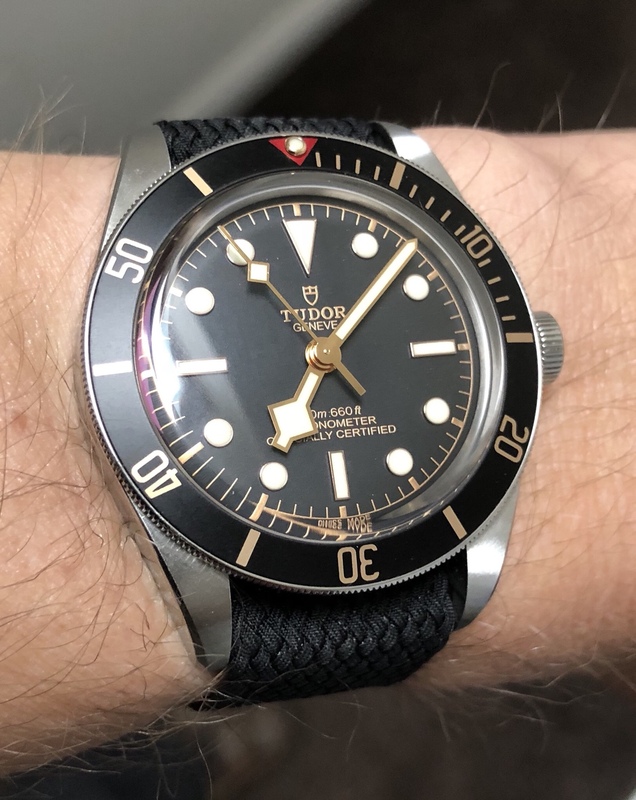 Definitely a worthy dive watch. I also had a scare when I helped my dive buddy fasten their tank. I scratched the PO across the rough surface of the (unpainted) steel tank, while applying quite a bit of pressure. When I realized what I had done, I was almost certain that I had seriously damaged the crystal and bezel of my PO. There was a very visible mark both at the edge of the sapphire and on the bezel. I knew of course that the steel of the tank would not be hard enough to scratch the sapphire, but I thought that the impact from the rough surface might have created little cracks and/or splinters in the crystal. Well ... luckily this story has a good ending. The mark remained visible for a bit, but eventually came off. I think it must just have been abrasion from the steel tank leaving a stain on the PO. After some more rubbing, the mark on the PO is now entirely gone. Great sign for the quality of Omega's sapphire and ceramic! hugof3C, Bugster and Londonboy like this.